Please make sure to first select your Color before hitting the "Add to Cart" button. Special knit construction throughout sock. Soft protective sole cushion helps pad foot bottoms. Gentle stretch leg rib helps non-binding stay up comfort. 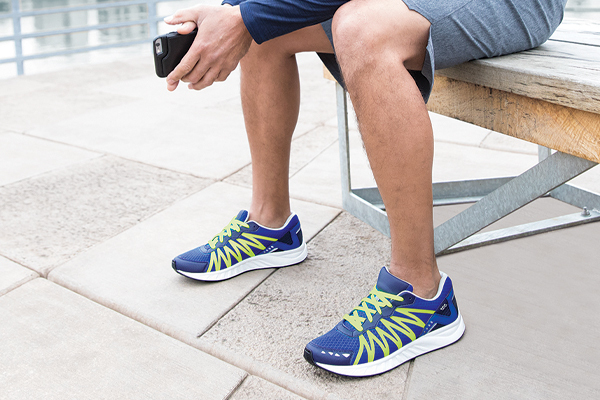 Multi-wicking fibers move moisture away from feet helping keep feet dry and avoiding hot spot, that cause blisters. Spandex arch brace provides light compress to support and prevent sock movement. Smooth looped toe seam provides a flat no-feel seam over toes. White sock sole helps in visual foot care.